When Microsoft launched its Office anywhere! Initiative with Microsoft Office 365 it boasted about the mobile experience and how Office 365 could be utilized on every platform to create, edit and share document. Although they were not lying it was clearly a much better experience on other platforms than their own. Luckily with the release of Windows 10, Office 2016, and Windows Phone 10, Microsoft has started to take its mobile experience at the home front more seriously. 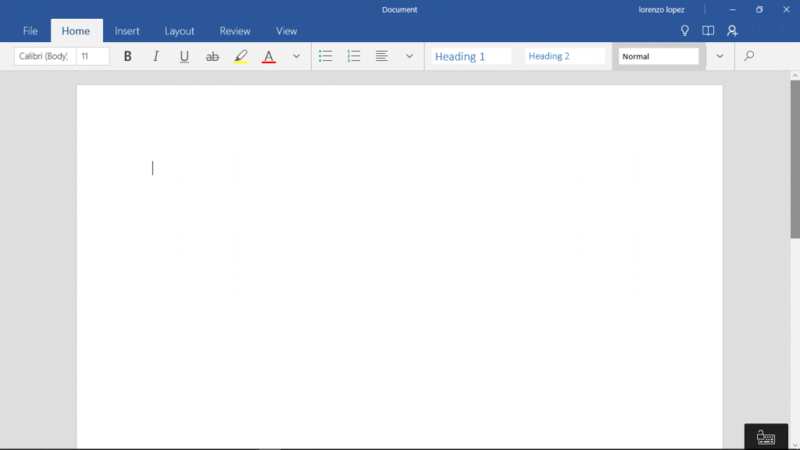 Word Mobile encompasses the best that Microsoft has to offer in terms of design, features, integrations, and ease of use. Word Mobile knows what it is, and doesn’t stray far from its roots. Microsoft has done a wonderful job of bringing only the most essential and useful features that users on the go would need, but that’s not all its doing. If you look at the above image you might be tempted to think that there is no way that the Word Mobile can hold a match to its desktop counterpart, I mean just look at all them options, and buttons. But let me ask you this, how often do you find yourself applying complex formatting to documents? If you say often then it’s a no brainer that this is not for you, but if you are like me and need a quick editor on the go then its more than enough. Right now one of the hardest drawbacks is not being able to apply custom styles, but as the life cycle of the application continues we see Microsoft getting the application closer and closer to what they envision the mobile Office experience to be like. At 150MB installed it’s a heck of a lot smaller than the full Microsoft Office suite, it also saves natively to the cloud, allows you to share with other users easily, offers, comes with version control, supports commenting and has enough font options to keep your documents interesting. Since its all saved into your OneDrive you can easily move into the desktop version of word to add anything that Word Mobile might not allow you to. All in all the future of the Office 365 mobile experience is looking very bright, having written this entire article on Word Mobile only strengthens my conviction to test and review more Windows Store apps. Who knows maybe the next version of Office will be a be sold exclusively through the app store, just kidding of course! If you or your organization are interested in trying out Office 365 please click on the link below to sign up for a free trial. This is going to be a multi part blog series taking a look at Office 365 and Google docs. Today’s post will be focusing on accessibility, how easy is it to use these tools, and what is their availability on desktop, mobile and web. How easy is it to get up and running with Google Docs VS Office 365? 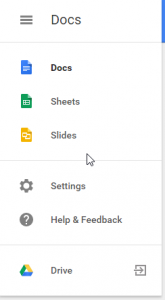 Google Docs is offered for free by default with the creation of a Google account, you also can receive Google Docs for free by merging an existing email (personalized domain, or other provider) to sync with your Google Chrome browser, or Android device. There isn’t much in the way of customization for its web based editor but this is understandable because of the open source nature of its file formats. WYSIWYG is very much in place here which is to Google Docs benefit because of its simple to understand editing tools, most new users wouldn’t have too many problems getting to what they need. 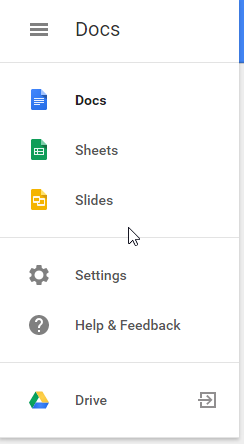 Google Docs comes with a docs, sheets, and slides. Through your desktop you have access to Google Drive. I won’t add the add ons for offline editing because they can only be used through the Google Chrome browser and are not their own stand alone applications. For the mobile space you have Docs, Sheets, Slides, and Google Drive. Offline editors are also available on Android, and iOS. At the time of writing this I was not able to find an applications for Windows Phone. Add-ins are plugins that integrates with a Microsoft Office application/s to extend or add a functionality that was not there before. These add-ins can be easily created to work privately within your companies Office environment, or can be created to work publicly on the Office add-ins marketplace. 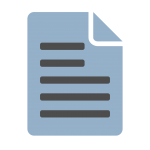 Ranging from business insight, all the way down to specific formatting Office add-ins are the way to go if you or your company needs a specific work flow. 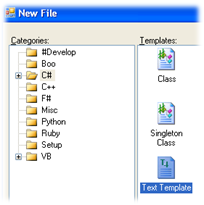 Office over the last 10 years has done a phenomenal job in preserving compatibility and extending the tool set that developers can use to create these add-ins, and with new versions of Microsoft Office we can see these newer functions being extended upon by the developers. Office 365 and Microsoft Office 2013 have changed the game by further allowing cloud based add-ins and applications to be created that can extend the functionality of almost every Microsoft Office service imaginable both on desktop online. Add-ins and applications can also be made to work with Microsoft Azure platform to integrate the cloud with your needs. Some might be wondering what is the difference between an add-in and an application. I know I was when I first started working with SDS so here the break down. Add-Ins cannot operate by itself while an application has its own interface and doesn’t need to synchronize with another application to work properly. If you need to extend a feature that is already included in Microsoft Office (2007 – 365) then your best options would be to look for that add-in that has the functionality that you need or have it custom developed. We can see a great example of Microsoft’s range and flexibility when it comes to opening its API by seeing the growth of applications in its Windows Store and online by companies that have created online services and applications that integrate seamlessly with Office 365, Dynamics CRM, Azure, Yammer, Skype and much more. But what happens when you just can’t find what your or your company is looking for? What happens when you have something that only does 90% of what you need? Or even worse, what if you can’t find something that even begin to address what you need to accomplish your project goal? Or what if a tool exists that has no clear way of getting to work with your existing lineup of applications? These are all real concerns that companies face day to day and its important to find solutions that works. With custom application development it can get a little trickier because it typically takes more time to develop and comes with a higher price tag. But that being said you will have a custom application that has the functions that you need and that integrate with your existing environment. Custom application development is usually the last stop for companies trying to obtain the functions that they need. This can be a problem in later stages when a specific set of tools have been implemented and are in active use by employees and companies start looking for a custom solution. Often times you are faced with learning a new application, configuring the services, aggregating the resources to work with your existing data, migration, and training. By going down the custom route from the start you can substantially cut down those steps and focus on what is important. Personally if I can’t find the application that has the complete set of functions I need I would begin to look into application development from the get go. The reason being that if I have projects underway that have timeframes that I need to keep up with then It would be in my companies best interest to avoid wasting time configuring, or training my staff on something that was never intended to be used in that way. Some applications or add-ins offer customization from the start and just require some tinkering with to get to work. A great example of this is Microsoft Dynamics. Microsoft Dynamics has the building blocks to create necessary CRM processes and merges with Office 365, Azure, and Yammer. Plugins and Add-ins can also be developed to extend the applications core function allowing customization on a level rarely seen in a CRM suite. Microsoft has done a fantastic job creating the ecosystem needed to harbor communications on all levels. Having the tools that we have now we can make sure that the experience is tailored to the end users specification. Having the headaches taken out of the equation decisions maker can get back to what’s important, and that’s making decisions and managing projects. Not having to worry that your staff has to waste time by duplicating efforts because of software allows you to get back to what matters and companies such as ours are here to help. 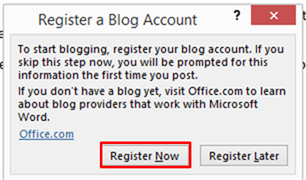 In this Office 365 tip I show you how to very easily publish your content from Microsoft Word directly to WordPress. 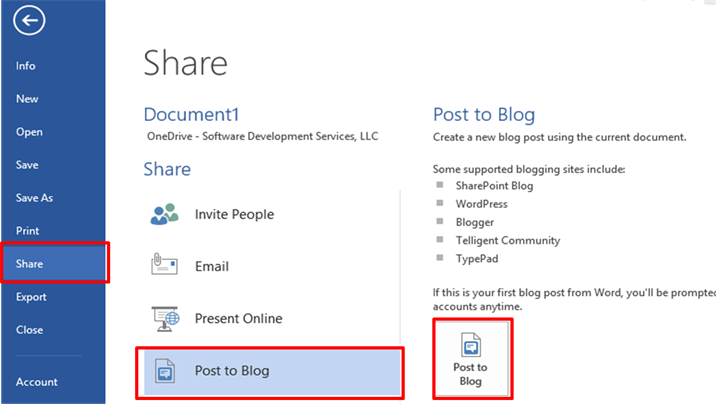 In addition to WordPress you can also publish to the following blog engines: Blogger, SharePoint, Telligent Community, TypePad, and other blog engines that support the MetaWebLog API. In this tip I stick with WordPress but the steps are very similar for other blog engines. If you don’t already own the Microsoft Office suite, I would encourage you to sign up for a free 30 day trial of Office 365. The New Blog Account Modal appears. In the combo-box, select WordPress. Click Next. The New WordPress Account Modal appears. 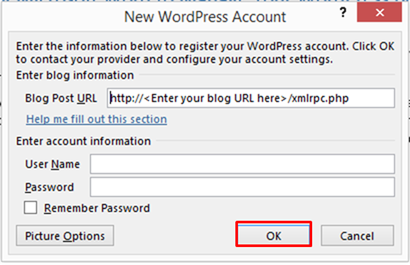 Enter your WordPress URL and your credentials. Click OK. If you setup your account correctly you will see the following dialog box. Click OK. Finally, your document will open in a new instance of Word. Make any necessary formatting or content changes. Don’t forget to give your blog entry a title! 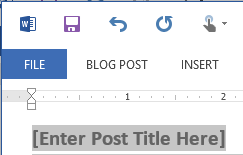 When you are ready to publish simply click Blog Post -> Publish, with the option to publish as a draft document. Fortunately you only need to go through the first two steps to publish your content to your WordPress blog. Want to learn more about Office 365? 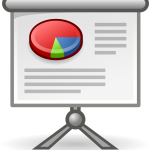 Be sure to sign-up for our free instructor guided Office 365 training webinars hosted every week by SDS. I have developed software for many years now and am surprised at just how much money companies spend on writing and maintaining code that would be more reliable, lest costly, and more easily maintained if code generation tools were used instead. As an American developer the best way for us to compete on cost is to think smarter unless we want to work every waking minute for less money, and die young from stress related disease. That being said, code generation requires planning and careful thought because there is a balance that must be maintained lest you incur technical debt in the form of future support costs. 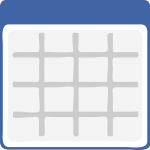 Where are some ideal places in your application to leverage code generation and who should maintain the code generation templates? In many cases you will leverage code generation tools created for you, often in your data access layer to generate entities or code that maps between entities and your database. Entity Framework and nHibernate are good examples of this. If there is an industry accepted approach developed by a company responsible for maintaining the template, you will want to leverage their solution as often as possible and limit customization of their provided templates. That way when you are ready to update to a newer release, the cost of labor is minimal. Other areas that I focus on are the “edges” of an application where code does little more than act as a traffic cop. I make it easy to override generated code in partial classes so that in the rare event you must deviate from the default pattern you are able to do so. Once you learn how to leverage code generation tools effectively, you will want to abuse this power (which I admittedly have done in the past) so be selective. In short, don’t reinvent the wheel here, and don’t believe the extremists on either side who say that all code generation is bad or who say that everything should be generated! My final piece of advice is that unless your business is creating code generation tools that you not create the tooling itself and instead purchase a code generation framework. Your job should be adding business value for your customers, not creating a management nightmare for them for years to come. CodeSmith is a great platform that I had used for years, while today I tend to use T4 because of the built-in support with Visual Studio (plus it is free and easily shared between developers). I suspect that Razor syntax will eventually replace T4, which is great because using MVC and Razor for code generation would be far easier and more maintainable than leveraging T4 (which is a template language similar to classic ASP.NET). If your company is interested in custom application development that is well architected and efficiently implemented, or if you are a developer with questions or ideas related to code generation, please submit a request for a free consultation or contact us direct at http://www.SDSElite.com.